Marine researchers recommend a halt in commercial catch on the small fish that is considered key to the food chain in the Barents Sea. «The Norwegian-Russian Joint Fisheries Commission has defined rules for the management of the capelin stocks and our research shows that there should be no catch next year,» says marine researcher Bjarte Bogstad. The recommendation is supported by the International Council for the Exploration of the Sea (ICES). The conclusion comes after this year’s Barents Sea ecosystem mapping conducted by researchers from the Norwegian Marine Research Institute together with Russian colleagues from the Pinro Institute. The data collected during the expedition show that the capelin stocks are slightly smaller compared with similar data from 2017, the Norwegian Marine Research Institute informs. «The capelin stocks are small this year, but there is not a collapse,» Bogstad underlines. The capelin has yo-yoed over the last decades with four major downturns since the mid-1980s. The last stock collapse came in 2015-2016. In 2017, however, the researcher found a significant capelin bounce-back, which resulted in the re-opening of quotas and catch in 2018. Fisheries have in the course of the year caught about 200,000 tons of the fish. It has been a much appreciated catch for locals along the coast of the Barents Sea. Especially in the Kola Peninsula and the Russian north is the small fish considered a delicacy. According to Bjarte Bogstad, a researcher from the Norwegian Marine Research Institute, the capelin plays a crucial role for the ecosystems in the Barents Sea. The catch quotas in the Barents Sea are jointly regulated by Norway and Russia. In 2015, the two countries’ joint fisheries commission introduced a moratorium on commercial capelin fishing. The Barents Sea ecosystem mapping has been made annually since 2004 and is considered one of the world’s most comprehensive of its kind. 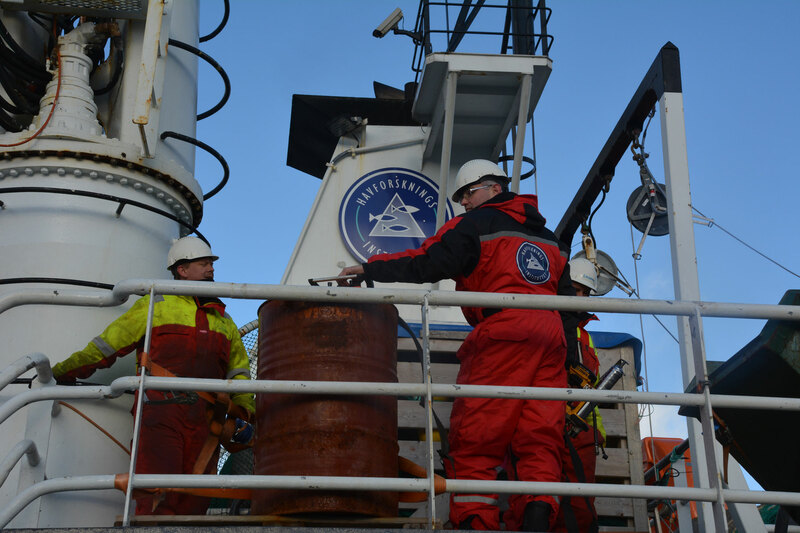 The mapping includes research measurements on several hundred predefined points all over the Barents Sea, from the coastal waters along Finnmark and the Kola Peninsula to the ice edge up to 80 degrees north. The measurements include a big number of marine species, from the bottom to the top of the sea. Following the collection of the data, representatives from both countries meet to discuss findings and make recommendations for quotas. Those recommendations are subsequently discussed at the Joint Norwegian-Russian Fishery Commission, the key annual fisheries meeting between the two countries.